Currently viewing the tag: "flip"
Investing In Property Or Investing In Yourself? Many people get involved in buying investment properties in the hope of either holding on to the property, renting it out and generating a healthy monthly rental yield or renovating the property and selling it on for profit. 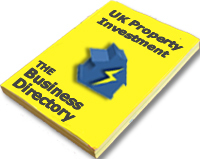 Many of these investors do this entirely by themselves without seeking the advice or experience of property investors and property professionals. This is madness, you wouldn’t walk into Lord Sugar’s office and tell him he doesn’t know how to run a business, or visit a dentist who had never performed dental surgery before and ask them to pull out your very sore tooth? I hope the answer was NO! Going into property investing armed with nothing but determination won’t provide the financial return that you want, need or even deserve, going into property investing blind WILL lead to you making huge and costly mistakes. 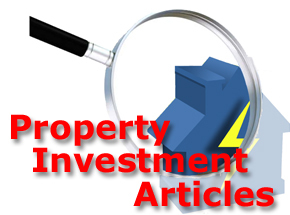 To be a successful property investor you need to employ sound knowledge and demonstrate a few essential skills as well as more than a little financial acumen so that you can make successful decisions when examining property deals, when purchasing investment properties, or refinancing your existing rental property portfolio. Education is the key to GOOD, PROFITABLE and ETHICAL property investment, knowing what to buy, where to buy, how to buy using other people’s money, how to control property without actually owning it, how to use lease options, when use instalment contracts, how to profit using rent to rent, the list could go on and on, but I think you get my point. There are so many different strategies being used by property investors that it is difficult to keep up sometimes, however these different strategies become virtual goldmines for property investors when they invest in themselves and attend seminars, workshops, courses and property networking events.